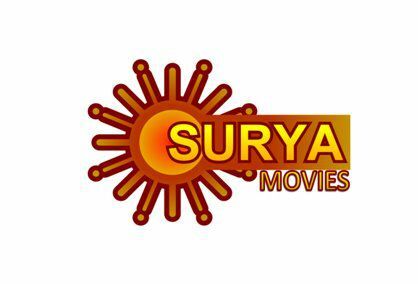 Surya Movies is the new name of sun network’s malayalam movie channel kiran tv. from 15th march 2017 onward kiran tv will use the new name. Sun network planning big changes from 15th march, we have already posted about the launch of surya hd channel. sun network started it’s second malayalam channel kiran tv in January 2005. later kiran tv changed into 24 hour movie channel and getting good ratings. Asianet movies and kiran tv are the 2 malayalam movie channels. Kiran tv mainly airing malayalam movies and tamil films in friday, saturday, sunday at 7.00 p.m.
Surya tv was the first malayalam channel from sun network, later they have started kiran tv. Kochu tv is the malayalam kids channel from sun network. Surya Music is also from the same group, reports says they will soon launch surya comedy. we can expect the hd version of surya movies, kochu tv, surya music in future. sun network is also thinking about surya news, malayalam news channel. we will update more about surya tv movies channel here.